This stuff is gold! I swear, it has done some miracles for me (and literally it is quite expensive) haha! As you know from this post, I am all about natural beauty products and this one fits in just splendidly. While we were in Bora Bora on our honeymoon, my husband and I got tattoos as a memory of our time together. It was a really neat experience, the tattoo artist came to our bungalow on our last day and we got matching tattoos designed which say, I give all of my love to you in Tahitian. It was a spontaneous decision which we had both thought of at separate times, EVERY ONE in Tahiti has tattoos (the locals) so we wanted to do something which tied in our love for each other and our wonderful time in Bora Bora. Okay, back to Tamanu oil, long story short, the tattoo artist told us that since it is so humid in Tahiti, not to cover it, let it air dry and use Tamanu oil on it. We actually thought he was talking about coconut oil, but we went to the gift shop at our hotel and asked for Tamanu oil, they handed us this odd green colored oil and we were shocked at the price. I cannot remember exactly how much it was but it was more than $60 for this tiny bottle. Of course, everything in Bora Bora is expensive, but after looking into buying some more, what we paid isn’t outrageous by any means. 30 ml of this stuff sells for around $45, as I said, it is gold! So, not only did the tattoo artist tell us to use it for our tattoos, he also told us (through broken English and French) that the locals use it for everything. Literally EVERYTHING! He told us to use it for any insect bite and the itching/stinging would stop, use it on sunburns to heal them and in the sun to prevent getting one, women use it on their face to get rid of acne/prevent it (their skin was flawless), parents use it on their children when they have rashes/issues, he named so many ways to use it and told us it was the best thing to come out of Tahiti and I agree with him. We used it on our tattoos and our tattoos were completely healed after 2 days, I am not joking. I have had 3 other tattoos done in the past and never have I had a tattoo heal that fast! I also used it on a heat rash that I had on my shoulder, again, it cleared up in about a day and instantly brought relief, my husband has used it on a chemical rash he got on his hand and of course, it helped. I am telling you, there is nothing this oil cannot do. Of course, when I got back home, I did some research and found even more uses and benefits of this wonder oil. Tamanu oil is a topical healing agent with skin healing, anti-neuralgic, anti-inflammatory, antimicrobial, antibiotic, and antioxidant properties. It is best known for skin rejuvenation, it is one of the most effective agents in promoting the formation of new tissue, thereby accelerating wound healing and the growth of healthy skin (HELLO anti-aging oil). So here’s how it’s made; Calophyllum inophyllum is the name of the tree it grows on. The tamanu branches are covered with shiny, dark green oval leaves, and small white flowers with yellow centers. The fruit of the tree, has a large nut hull inside. Inside the fruit is the blond nut. This is removed and dried on a rack for a month or so, it turns a deep, chocolate brown, and becomes sticky with a rich, oil. The oil is then pressed from the dark kernels. The resulting oil of tamanu is dark green. It takes 100 kilograms of tamanu kernels, the amount that one tree produces annually, to yield just 5 kilograms of oil. Natives believed the tamanu tree was a sacred gift of nature and that gods hid in its branches. It was their answer to skin protection from hot sun, high humidity and ocean wind. The smell is somewhat strong and very earthy, so if you’re looking for a delightful oil to use everyday, this isn’t it. However, if you can get past the smell, which isn’t so bad (I used it all along my pregnancy, even with EXTREMELY sensitive smell in the first months), you will reap its benefits, which are A LOT! If you’re interested in trying it, here are a few I would recommend!! I have to say, when I was younger I was that girl who didn’t care about proper makeup removal or face cream. I know, I know, gasp, how horrible. Coming into my 20’s I started to really realize how bad it could be for my skin and started a regular beauty routine. Of course, in the past years it has changed and I have finally found products and routines that work wonders for my skin. Being on birth control for the past 10+ years I had flawless skin (thank you hormones) when we started to think about having children, I stopped taking the hormones and noticed my skin rebel. It was a tough 6 months or so trying to find products that worked for my ever so sensitive skin. Yes, this time was leading up to my wedding and I was getting seriously anxious to solve the skin dilemma before the big day. Then of course the next big uproar of my skin was getting pregnant, yet again, my skin and hormones changed. So I had to adapt once again. So, the first tip I have is NEVER TOUCH YOUR FACE! It took me so long to really stop the habit of touching my face, but since not touching my face, I have noticed a huge difference. This also applies to applying makeup, make sure you’re using brushes or other told to apply it, don’t use your hands. So for products, one product I absolutely love and will go back to it after my pregnancy is night cream with retinol in it. You can never start too early to fight signs of aging, and since the trend when I was younger was tanning beds, my skin needs all the help it can get! I have tried a few different products with retinol in them, but as I said, my skin is very sensitive (and naturally fair) and have found that the L’Oreal Revitalift day and night cream work really well with my skin. But of course, retinol creams are not safe to use during pregnancy, so for now, I have nixed it from my routine. As you’ve heard me mention a time or two, I am really into all natural, no chemical products to use in our home and bodies (of course I am not over the top crazy about it, but if it can be avoided I like to try natural products) so most of my beauty routine is organic products or products you buy from the grocery store. Every night I slather my face in coconut oil, rub it in and let it works it magic for a few minutes. This also applies to nights when I have makeup, coconut oil is an amazing makeup remover and leaves your skin feeling dewy, not dried out! It also fights bacteria which can be festering causing blackheads and pimples. 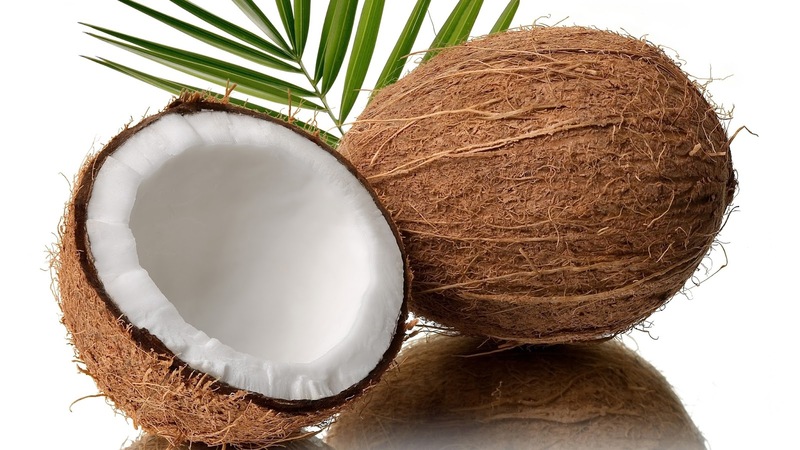 More on coconut oil and its benefits here. After taking the coconut oil off with a dry makeup pad I wash my face (staying clear from the eyes) with lemon juice. I coat a cotton swab with lemon juice and rub it around my face. This does a few things, first, lemon juice is a phenomenal toner. It works to tighten your skin naturally, without any added chemicals. Lemon juice also cleanses out any bacteria in your pores and lastly, what I like most about it, it lightens your skin. If you have had pimples which have caused scars or have redness in your skin, using lemon juice will get rid of it and help your skin have an overall even tone. I have noticed the redness from those hormone pimples go away within about a month, so it doesn’t work overnight, but consistency is your friend here and you will notice your skin glowing after a few uses! If you have darker skin, lemon juice may cause a bleaching effect and may not be even, so please consult a dermatologist before using lemon juice on your face. Good, so after the lemon juice (I let it sit for a few minutes) then wash it off with water -don’t leave the lemon juice on overnight, it will cause more damage than good. Then before bed I would normally apply Revitalift, but during pregnancy I have been using organic face cream and have really liked it, but am looking forward to using Revitalift again! Once a week I also scrub my face with sugar -and I mean get my face wet, poor sugar on my hands and scrub my face for a few minutes. It is so refreshing!! Afterwards and in the morning I apply my face cream and put on my makeup! Tell me if I’m missing any natural products I could be using! I don’t want to miss out! Lemon juice and baking soda: my dentist told me to stop immediately because it can ruin the enamel on my teeth, I also noticed some sensitivity to cold or hot objects so I stopped doing it before I ever saw results. I tried it for about a week. Whitening strips/gel: I may have THE MOST sensitive teeth in the world, but I could not stand using whitestrips or whitening gel. The strips made my teeth (and my husband’s) so sensitive that even breathing hurt! The gel tasted gross and I found it really awkward trying not to get my teeth wet for 30 minutes each night, where is your saliva supposed to go?! Plus talk about chemical overload?! Needless to say, this method was not my favorite. Lastly, I saw a post on Pinterest (of course) about coal used to whiten teeth. I thought why not give it a try, especially since I am all for organic/natural ways about beauty. Here’s what the dentist says: Activated coal is used in medicine to absorb toxins such as alcohol, and other unwanted things in your body (used in the past to absorb alcohol when people got alcohol poisoning) so it has the same effect on your teeth. After time, it absorbs tannins which are pigments found in coffee and red wine (the culprit for making your teeth that awful color to begin with) making your teeth whiter. It is completely safe to consume (however, may cause a back up if you take too much and don’t drink enough water) and isn’t loaded with chemicals. -Seems safe to me! So, here’s what I did: crushed up one or two tablets of activated coal (you can get it from the pharmacy or any store that sells over the counter medication) and put it in a small glass. Every time I brushed my teeth (morning and night) I brushed them as usual, then after sprinkled some of the crushed up coal on my toothbrush and brushed again as normal for about 3 minutes. Of course, your mouth instantly turns black and it looks quite funny, but once you have rinsed a few times (after brushing) you will notice your teeth appear whiter. After doing it twice a day for about 2 weeks, I went down to only doing it once a day (in the morning) and my teeth are super white! Not like glowing in the dark white (reminds me of that episode of Friends with Ross’ teeth) but have noticeably gotten much whiter and have maintained their whiteness even if I missed a day or two. What I love most about this is that I can still do it while pregnant and know that it causes no harm to my baby (unlike gels and strips). Again, please consult your dentist to know what is best for you. This is just works for me! What do you do to keep your teeth white?